The primary reason why bikers, weightlifters and golfers wear gloves is grip. The fabric of the glove provides traction so much better than a bare hand. Besides a better grip, the gloves also protect the hands from calluses and provide warmth in the cold weather. A good quality glove also helps to keep the hands free of sweat and moisture in humid weather conditions. This small but crucial piece of accessory can mean the difference between winning and losing the game altogether. Let’s take a look at some of the gloves best suited for sweaty hands while golfing. The gloves are made of Taction2 Advanced Performance leather known for their performance and durability. The leather comes from Pittards, a UK based company which is renowned for producing some of the finest leathers in the world. The insides of the gloves are inlaid with a breathable mesh called PowerMesh that runs along the fingers and knuckles. From the outside, the leather is perforated along the same lines to allow maximum moisture evaporation. This glove is often considered the best glove for its exceptional grip even in humid or wet climatic conditions. It allows your hand to hold the club without slipping or turning. The unique designs allow the gloves to molds perfectly to the player's hand. A standout feature of this gloves is The ComfortTab closure which is 3-Directional to ensure perfect wear without any chaffing and irritation. The APL leather maximizes perspiration and water control. The Pittards leather is known for its tenacity to undergo multiple rigorous uses without showing any sign of wear and tear. 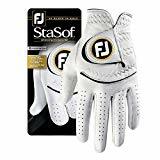 The price of the FootJoy StaSof golf glove ranges from $16.99 to $40.47 on Amazon. - ComfortTab closure for maximum comfort. - Soft and weather resistant. - Sizing can be a tricky as no two pieces are the same. This glove is made from genuine kangaroo leather in the palms for an extra grip. It combines with a Grippp Technology singular to Hirzl that is embedded into the leather. The gloves’ design is unique in that it has a pre-curved finger system of 45 degrees and the thumb placement has an extra deep cut. The textured kangaroo leather in the palms combined with Grippp Technology makes the gloves provide exceptional grip. It is three times tackier in a dry environment and five times more in wet environment.This is something you need to experience to believe it. This glove is considered to have the thinnest feel akin to the skin. The back of the hand has a combination of Cabretta leather and airtech mesh which imparts the feeling of not wearing a glove. It provides the necessary traction and comfort without coming between your hands and the club for a perfect shot. The perforations along the thumb and index fingers allow airflow for moisture management. Hizrl gloves are capable of surviving hot and humid as well as cold and dry weather. They do not show signs of wear and tear easily. The Control gloves maintain their grip and comfort even after years of constant use. They look and perform well as new after a dip in the washing machine. 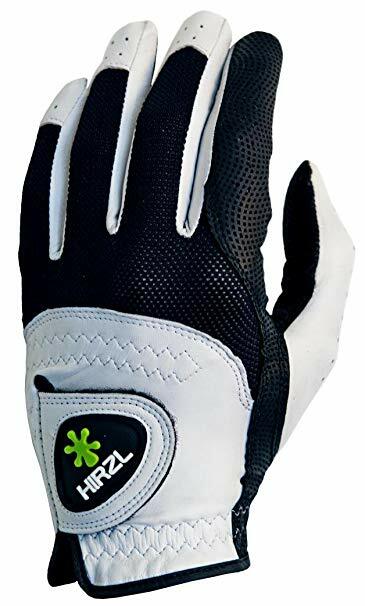 The Hizrl Trust Control glove has a price tag of $14.99 to $29.42 on Amazon. - Water repellent and sweat absorbent. - The threading is weak in some areas. - Problematic thumb area is prone to tearing easily. 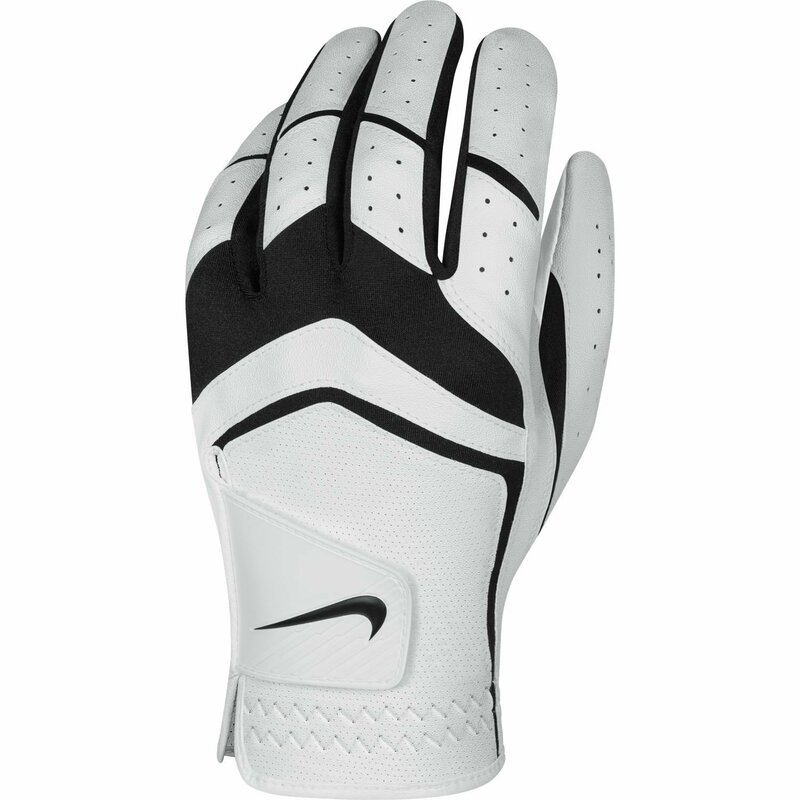 This stylish glove from Nike is made of a combination of synthetic and natural materials. The materials are polyurethane (85%), nylon (10%) and goatskin (5%). It gives the gloves a modern contemporary look that yields exceptional performance. The backs of the hands are made of a synthetic leather glove with perforations for enhanced flexibility and airflow. Another outstanding design of the Nike Dura VIII is the Angled Tab Design closure that lends the glove an ergonomic and cozy fit. The goatskin fits in the design of the palms for optimum grip. The genuine leather is strategically patched on the palm and thumb for precision grip as you swing. The glove has elements of enhanced synthetic and natural leather in its construction which quickly makes it very comfortable to use. The inclusion of stretch fabric along the fingers and the back allow it to be flexible and will enable a variety of motions. Perforations at the back of the hand and along the fingers enhance moisture control. Overall the glove is very comfortable and fits easily to the wearers' hand. The gloves are reasonably durable compared to the price tag it carries. The price of Nike Dura VIII rangers from $7.99 to $25 on Amazon. - Flexibility and range of motion. - Can be used for all weather conditions. - The stitching is weak in some places. - Synthetic materials make you feel hot. - Sizing can pose a problem occasionally. 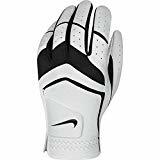 The gloves mentioned in the above category are all excellent concerning grip, comfort and keeping your hands free of perspiration while golfing. Regarding durability, it can vary greatly depending on the frequency of use and proper maintenance. Aesthetically, it is a matter of personal choice and will depend on what you are looking for. 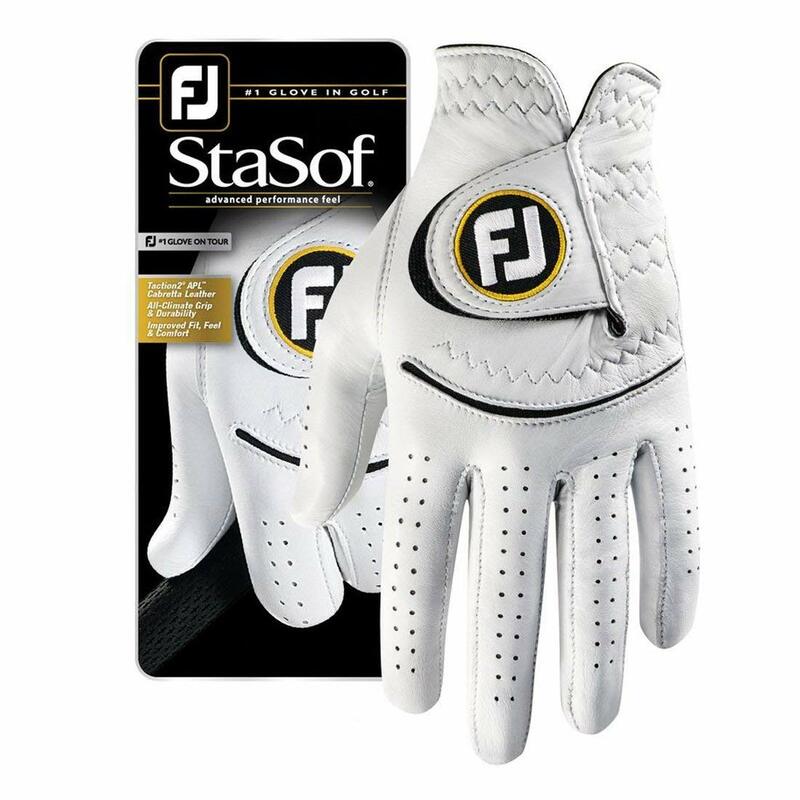 Taking the above factors into consideration, the best-golfing glove for excessively sweaty hands is the FootJoy StaSof Golf Glove. The material used for construction and the designs involved in making this tour-favorite glove is so outstanding, it makes you wonder if indeed this glove was made for humid weather conditions. The craftsmanship of the inner and outer compartments allows optimum airflow and sweat absorbency. The Hizrl trust control came in pretty close. However, the overall design and excellent performance of the FootJoy StaSof makes it a clear winner.